Gildredge Manor is an understandably popular wedding venue in Eastbourne, Sussex, and the ideal location to celebrate your Special Day. The superb Grade II listed Georgian building is set in the beautiful gardens of Gildredge Park which boasts eight acres of parkland and offers many lovely backdrops for your stunning photographs. The house dates back to 1775 when it was constructed for the Vicar of Eastbourne. By 2011, the manor house had remained empty for six years and fallen into a state of disrepair. The new owners began a programme of tasteful and sympathetic renovation, restoring the building to its former glamour and luxury, and making it one of the area’s most exclusive venues for weddings and celebrations. Gildredge Manor features a wonderful carved mahogany staircase running through the centre of the house and most of the original floors, cornices and coving have survived the centuries. The house is within easy walking distance of Eastbourne’s seafront, town hall and station, making it easily accessible by public transport and close to accommodation and many other attractions. The manor house has two rooms licensed for ceremonies (seating up to 75 or up to 110) and each of the function rooms has a special character and atmosphere creating an elegant and stylish setting. As well as the ceremony rooms, which are available for your wedding breakfast, there is a lounge bar in the Double Drawing Rooms, a Gentlemen’s Library, a Ladies’ Morning Room, a games room, a bride’s dressing room, a room for your evening entertainment, as well as a lovely garden with a children’s maze. The Garden Room is part of the 1883 extension – a lovely bright room with parquet flooring which opens directly into the garden and was built as a Billiard Room. It is licensed for wedding ceremonies and is also a great space for around 50 guests or a disco or live band! At Gildredge Manor you may have just your ceremony here, or ceremony and reception, or just the reception – with up to 150 guests in the evening. Whatever choice you make, you will be assured of a fabulous time and a day that you and your wedding guests will remember for years to come – not forgetting my stunning romantic photographs that I know you will cherish forever! 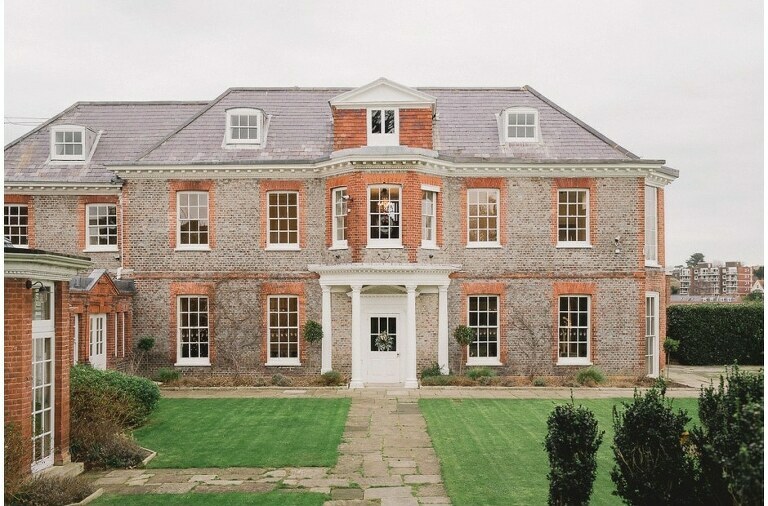 There are numerous stunning wedding venues in Sussex, so if Gildredge Manor doesn’t quite fit the bill, then why not take a look at some of the other options available. If you’d like to enquire about my availability for Gildredge Manor please get in touch here.